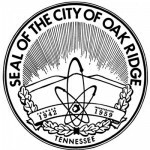 Other participating restaurants are Dean’s, Gallo Loco, Hoskins, Burchfield’s, Razzleberry’s, The Soup Kitchen, and Subway locations in Clinton, Oak Ridge (1968 Oak Ridge Turnpike), Oliver Springs, and Rocky Top. Aid to Distressed Families of Appalachian Counties is an independent nonprofit agency established in 1987, and it exists to serve the basic needs of primarily low-income residents in Anderson and surrounding Appalachian counties. ADFAC’s goal is to help families become stable and self-sufficient through a variety of direct assistance services provided by its School Supplies, Social Services, and Affordable Housing programs. ADFAC answers more than 6,000 requests for assistance each year, the press release said. This press release and photo were submitted by Wendie Aurin.